Finnevara Martello0 Tower : Gateway to Galway Bay . 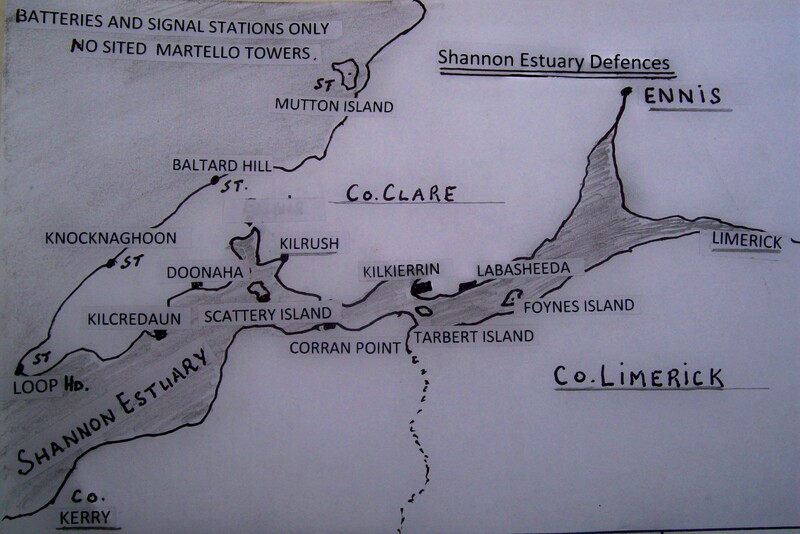 The Shannon Estuary, stretching between the North Kerry and South Clare sea boundaries is the only sea approach to the City of Limerick. The Estuary was identified by the British as one of the priorities for intense fortifications, the preferred option was the construction of multiple batteries and so positioned that any intruders would have to penetrate cross-fire from each side of the Estuary at four different locations. Watch Towers were built on the sea coast to scan the horizons and warn of any concentration of ships seen. Baltard Hill and on Mutton Island. Soldiers at Kilkerrin were also able to communicate messages to Tarbert across the Estuary. 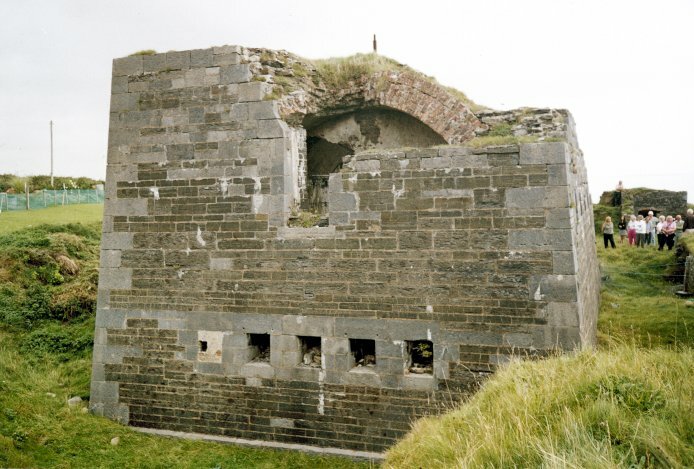 All the Batteries were completed and staffed by 1814 and a year later Napoleon was defeated at Waterloo and after all the planning and preparations made by the British, the Shannon Estuary fortifications as well as all others became obsolete as the threat of Invasion from the French no longer existed. 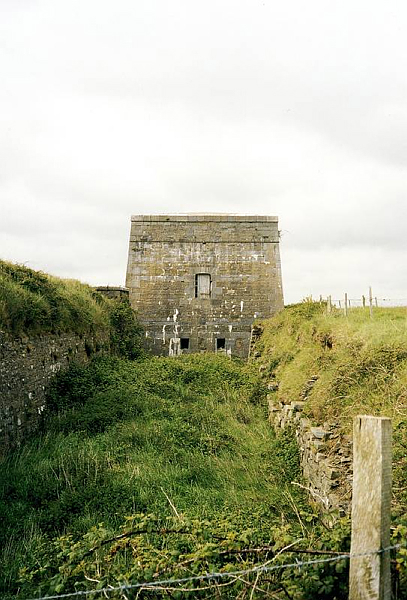 The most formidable fort of all the Estuary Batteries was at Kilkerrin and is now a major tourist attraction in South County Clare. 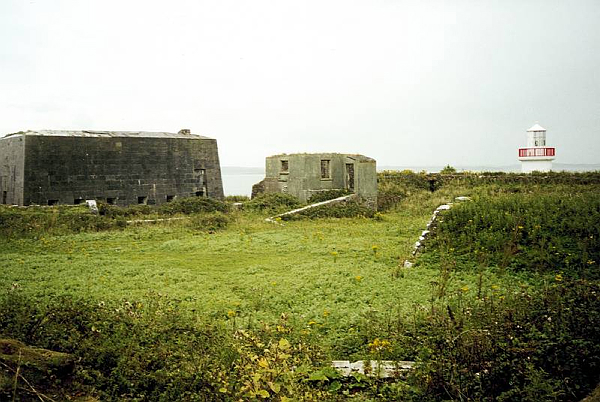 Today the battery at Kilkerrin has been restored, it is in very good condition and the remainder still exist, although some in a poor condition. The construction of the power station on Tarbert Island saw the demise of the battery there and also only the ruins of the battery on Foynes Island remains. 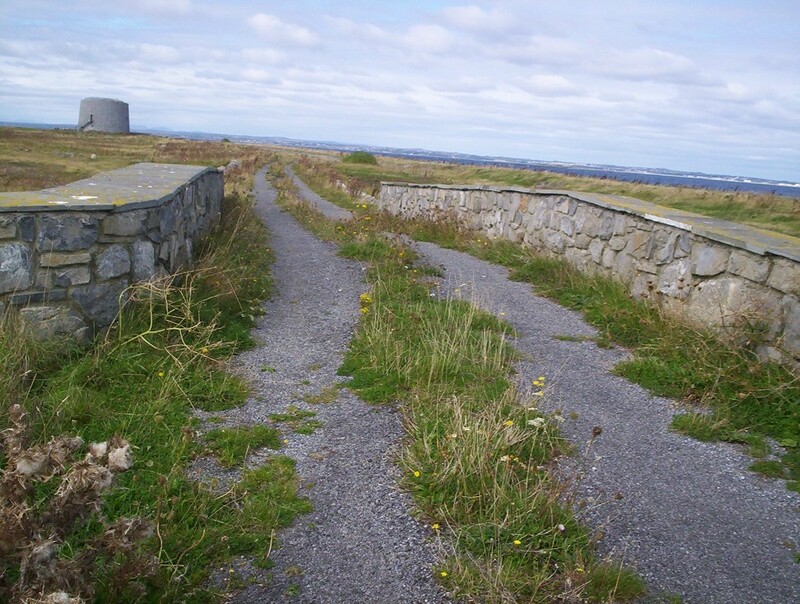 Scattery Island Battery overlooking the Shannon Estuary. Courtesy of Clare County Library (Sonia Schorman Collection C). 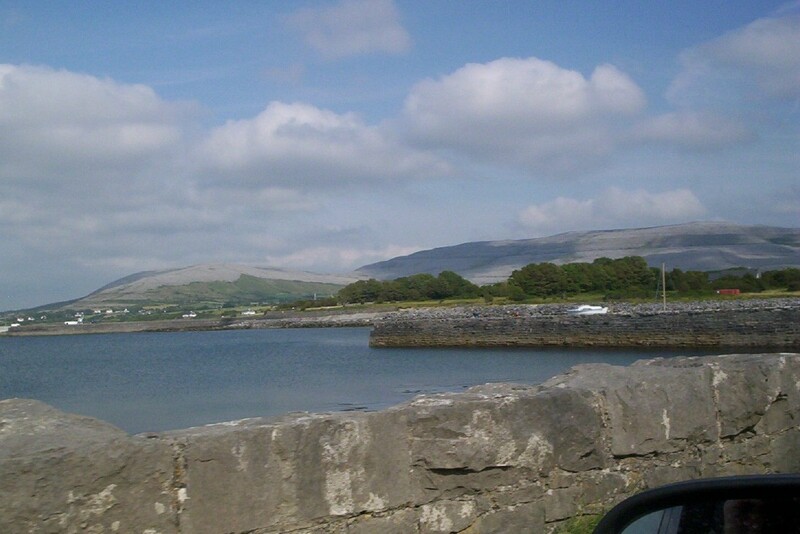 Ballyvaughan Bay, and view of Burren mountains, County Clare. Martello Tower, Finnevara, County Clare. 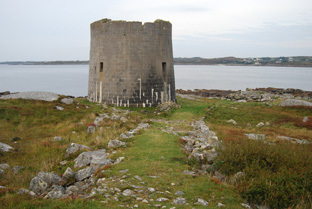 The surveys conducted for the locations of Martello towers on the West coast resulted in two Towers built overlooking Clare Bay and one at Rossaveel, at Cashla Bay in Connemara, north of Galway City. 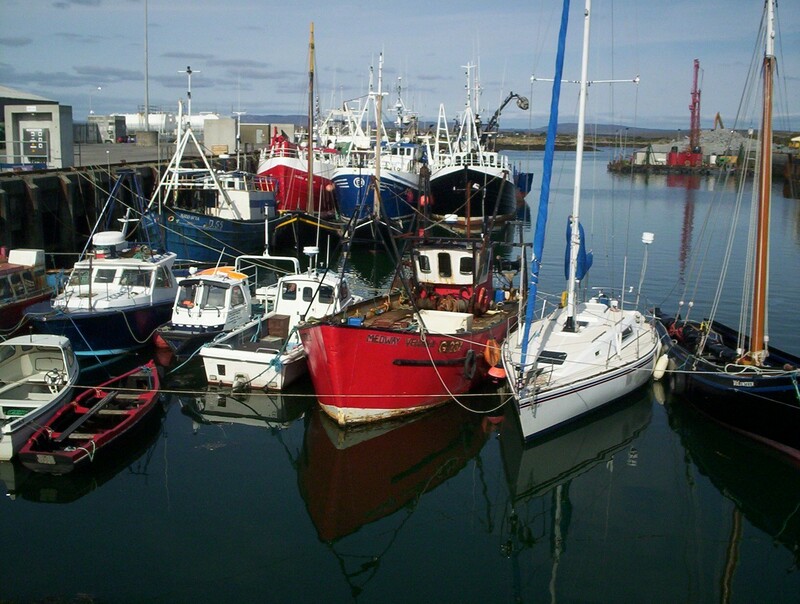 Rossaveel is now the main ferryport for the Aran Islands. From Ballyvaughan harbour, one can see the first of these at Finnevarra to the north of the Bay. In recent years the owner of the tower died and willed the tower to the State for future preservation. The tower is in excellent condition; oval shaped and built of cut stone. Nearby are the ruins of the gunners quarters and the surrounding flat grassy areas suggest that in the past the land was well tilled, possibly providing fresh vegetables for the garrison stationed there. At one time, Aughinish was connected by road to County Clare until 1755. The force of the tsunami that followed the massive earthquake in Portugal was so strong that when it reached Irish shores the road was swept away and severed the connection with County Clare and Aughinish became an island. 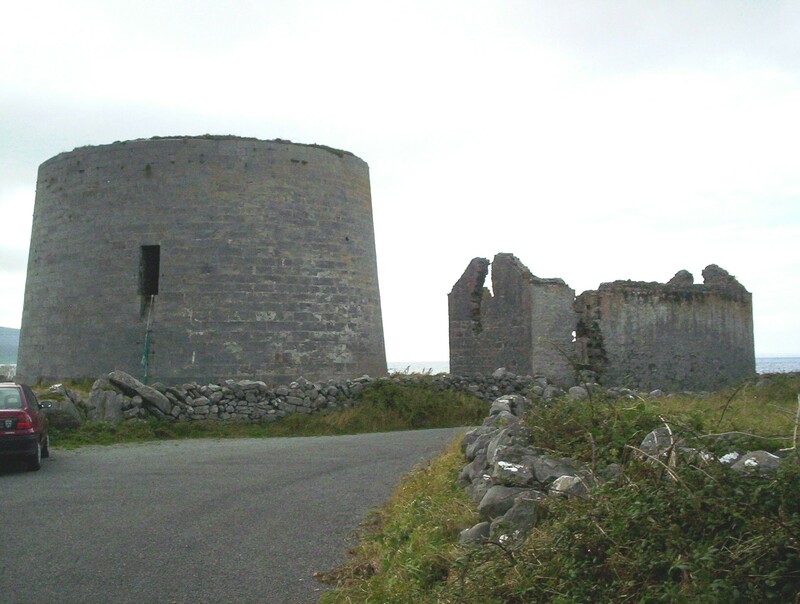 A new road was constructed to connect the Tower to the mainland and this was a long narrow causeway but the connection was made to the nearby Galway coastline. (See photo below). 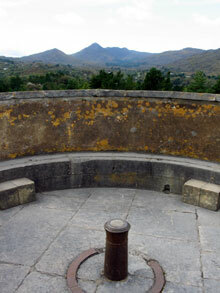 It is believed that until recently one cannon was in place at the Tower and re-sited on a new “base”, the iron structures that originally held the cannon(s) are on the ground outside the tower. The Bridge at Aughinnish. Best approach to this tower is to continue on past the tower to the T-junction and turn right to the byroad that terminates at the shoreline within a few hundred yards from the tower. The approach below across bridge is on private lands. 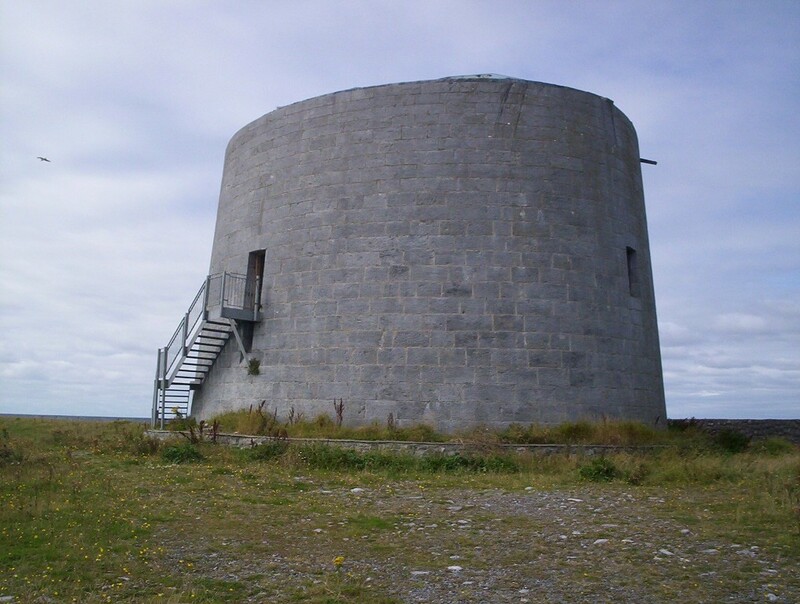 The third Martello tower was built at Rossaveel, Cashla Bay in Connemara that has now been developed into a major harbour, berthing place of western seaboard fishing fleets and Ferry Port for sea crossings to the Aran Islands. Rossaveel is now a high tourist location and locals still speak the Irish language. Rossaveel Tower is built on the rocks. One must question the placing of a Tower here because it appears to be a most unlikely location of invasion by a large fleet, being devoid of agricultural land and cattle herds that a large force would depend on for food supplies.